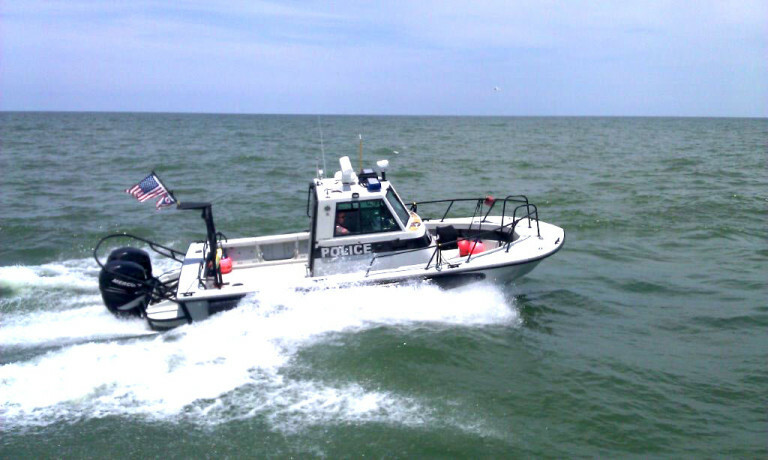 The Lorain Marine Patrol is an ongoing partnership between the Lorain Police Department and the Lorain Port Authority in conjunction with the ODNR Watercraft. The mission of the Lorain Marine Patrol is to make the waters of Lake Erie and the Black River safer for recreational use through inspections of vessels and safety equipment as well as the enforcement of federal law, state law, and local boating ordinances on the water. Other responsibilities include response to calls for assistance, missing boats/ divers, boats aground, and assistance to other law enforcement jurisdictions when requested. Our Marine Patrol officers also participate in special events and present boating safety programs to interested parties.